The interactions between religion and society constantly pop up in media headlines worldwide, with Russia fully exemplifying the trend. Not long ago Foreign Affairs, a magazine with a solid reputation for political punditry, pinpointed a paradigmatic shift in the US when it wrote that “...whereas the past saw partisans of different religions (often with an ethnic tinge) face off in the political arena, today partisan divisions are not defined by denomination; rather, they pit religiously devout conservatives against secular progressives”. Moreover, the authors of the quoted piece argued that “to a degree not seen since at least the 1850s (and perhaps not even then), religious mobilization is now tied directly to party politics”. It could resonate with certain audiences that B. Obama defended his tax and healthcare reforms with a reference to Christ's teachings. Nevertheless, shortly thereafter the US President went public with his backing of gay marriage, drawing fiery criticism from his Republican opponents many of whom felt that the position on the polarizing issue and the essentials of Christianity were impossible to reconcile. On May 23, Turkmenistan, Afghanistan, Pakistan, and India penned a deal to construct the Trans-Afghanistan pipeline which is supposed to pump gas from Turkmenistan to South Asia. It appears at the moment that the partners in the project whose feasibility provoked debates of varying intensity since the early 1990ies finally managed to achieve some clarity concerning such key issues as the outlet point of the route and the future buyers for the gas to be supplied. The planned throughput of the 1,700-km Trans-Afghanistan pipeline is currently set to 33 bcm annually, the main target markets being India and Pakistan which are to absorb 14 bcm a year each. The remaining 5 bcm should go to Afghanistan. The route is to pass through Herat and Kandahar in Afghanistan, Quetta and Multan in Pakistan, and to reach Fazilka in India. The Indian cost estimate for the construction is $12b and the resources will be drawn from Galkynysh gas field in Turkmenistan which is currently being sold by Ashgabat as the world's largest. 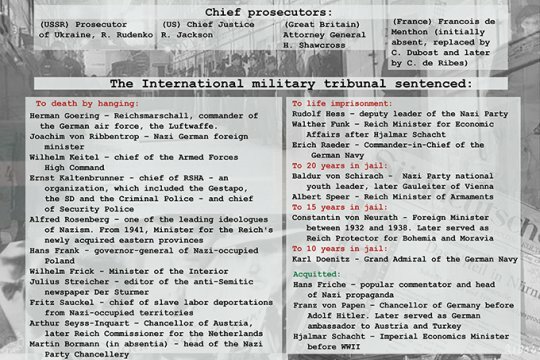 It became clear when the dust settled after the recent elections in Greece and in Serbia that two epicenters of resistance to aggressive globalism continue to exist in Europe. The US and the EU with all their might neither succeeded in coercing the new cohort of Greek politicians into a deal that would establish a government ready to bow to the EU and the IMF nor managed to help B. Tadic, long believed to be the front-runner, regain presidency in Serbia. 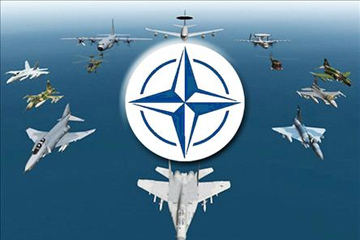 The May 20-21, 2012 NATO summit which convened in Chicago, announced the Alliance's strategic turn to defense on the worldwide scale. The forum further rolled out the smart defense concept which, as NATO Secretary General Anders Rasmussen explained, implies 'a renewed culture of cooperation'1. The alliance, according to its Secretary General, is moving towards a profound transformation, the purpose being to emerge as a pole in the security network spanning most of the world's countries and organizations. “Chicago will not be the end of our efforts, only the start,” said Rasmussen2. Looking at the recent past, one could not help but wonder what was at the root of the breakdown in the early 1990s when the principle of personnel policy still remained quite rational in many areas. When, undoubtedly in the engagement of new nominees from outside of the political sphere, professionalism was still valued. The "Chicago Boys," whispered in the ears of power of the phantasmagoria of monetarism, but could not so soon pierce the thick skin of the national sense in such a large country. "He knows his stuff, he is one of the pros," still served as a criterion. If you do not select someone new, then at least maintain the old cadres. What was needed was to negotiate the mechanisms of the crisis, which discredited a layer of experienced workers who themselves were allegedly not able to adapt to the "shock therapy." J.F.Bertonha: US Hegemony Waning in South America? Negocios Estrangeiros is a journal of the Diplomatic Institute of the Ministry of Foreign Affairs of Portugal with a reputation for geopolitics analysis and insights into Portuguese foreign policy, external economic relations, and cultural activities worldwide. 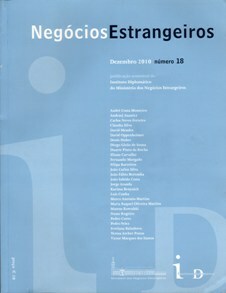 Two issues of Negocios Estrangeiros are released annually and offer opinion pieces in Portuguese or, occasionally, in English. The 18th issue which saw the light of day recently features a collection of essays with themes ranging from current analysis pertinent to the realm of international politics to extremely thought-provoking basic studies. The continuing pre-election marathon in the USA and the Nicolas Sarkozy’s defeat in the battle for the Élysée Palace spur interest in predictions for the outcome of German elections. The vote in scheduled to take place in September 2013.The elections in North Rhine-Westphalia, that took place on May 13, attracted special attention. The state boasts the population of 18 million, the biggest among 16 federal constituent countries. 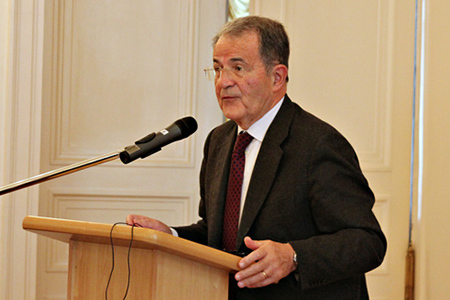 Many recall that in 2005 having suffered defeat there, then chancellor Gerhard Schröder took decision to hold snap parliamentary elections that put an end to his political career. The global energy games (or wars to be more exact) have taken an important turn in the favour of Russia. In the near future the gas supplies going through North Stream route from Russia to the European Union may substantially grow. The Nord Stream AG company share holders asked experts to study the prospects for boosting the capability of the sub-sea Baltic gas route going from Russia to Germany. The company’s formal statement on May 11 says: first, the further diversification of the routes guarantees reliability of gas supplies. Second, the demand in Europe is to grow in the long term future due to economic and ecological advantages of natural gas and decrease of the EU own production. First of all, I would like to thank my colleague and friend the Minister of Foreign Affairs of PRC Yang Jiechi for hospitality on the Chinese land. We discussed directly and in details a wide range of issues regarding further deepening of our strategic partnership and cooperation on bilateral basis as well as in international arena. Russian-Chinese relations have reached the unprecedentedly high level and continue progressive development. We deepen regular political dialogue on the highest level between deputies of chairpersons of the government and ministers. We conduct such meetings every month. THE EUROPE MEETS RUSSIA conference in Berlin brought together young leaders from the European Union and the CIS. Its very tight schedule was smartly developed by the Institute for Cultural Diplomacy. However, culture was not discussed much and there were few Russia's speakers. Taking part in this year's Europe Meets Russia discussions were two former foreign ministers of Estonia, one of whom is a current member of Estonia's parliament, and, for some reason, Moldova's ambassador to Germany. One of the speakers on the last day of the conference was former Russian Premier Mikhail Kasyanov. Europe's delegates also included former high-profile officials and NGO delegates from Germany, Great Britain and Sweden. I attended two discussions and gave a talk. The most delightful part, however, was to see and hear young delegates who continue as students of European higher schools or lead their independent public organizations. They asked direct questions, without false political correctness, to indicate they were eager to comprehend the complex subject of relations between Russia and Europe.